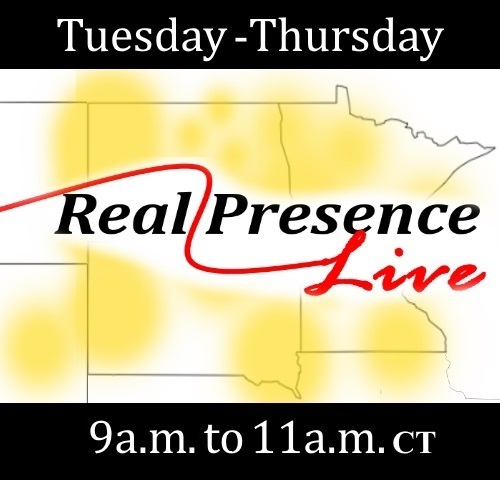 In the second hour, hosts Brad Gray and Jeanine Bitzan talked with the Diocese of New Ulm's Fr. Paul Timmerman about the teachings of the Church on the ministry of angels. During the Made for Greatness Men's Segment, Brad and Steve Splonskowski visited with Michael Wilde, who shared his journey of discovering the proper order of how to live life and what that meant when it came to being a father. We also continued our Fall Festival Tour as our hosts talked with Maryhelen Chadwick about the upcoming Taste of Faith Fall Festival at St. Philip's Church in Bemidji.